Who remembers “Art to Remember”, a fundraiser for elementary schools? 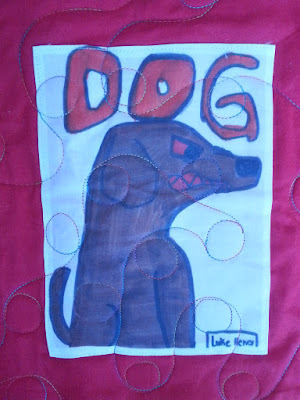 MQBM made a sweet quilt with Luke’s artwork. 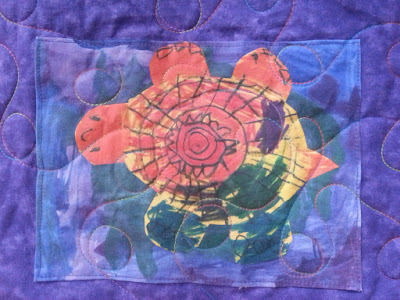 His art from kindergarten through 6th grade is highlighted in this precious wall hanging! 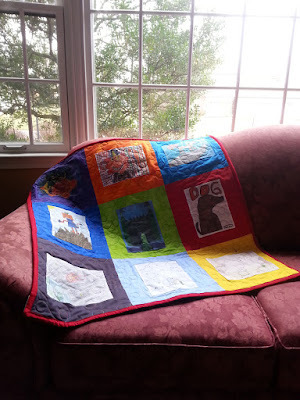 Kudos to the mom for saving the art, next up her daughter’s Art to Remember quilt! 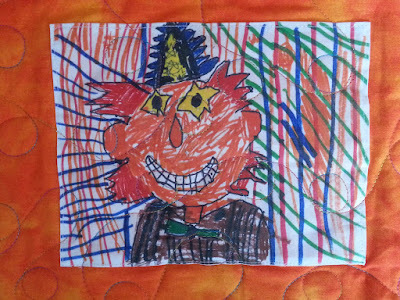 Shown below is Luke's artwork! Priceless!